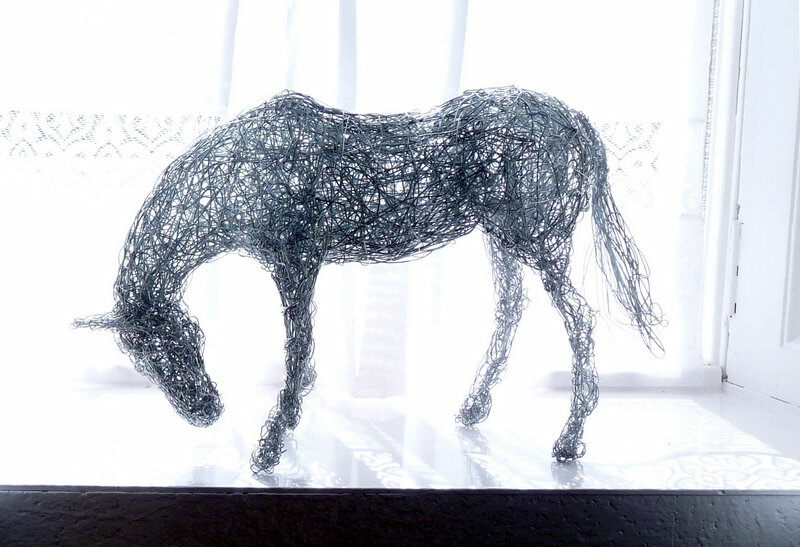 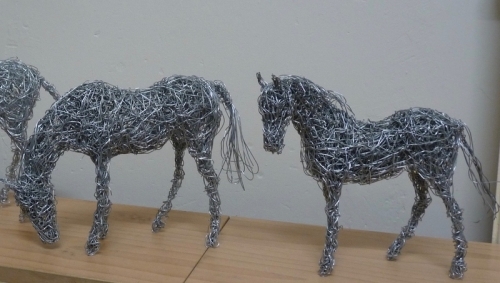 Miniature wire horses and wildlife sculptures for the home, office and indoor public spaces. 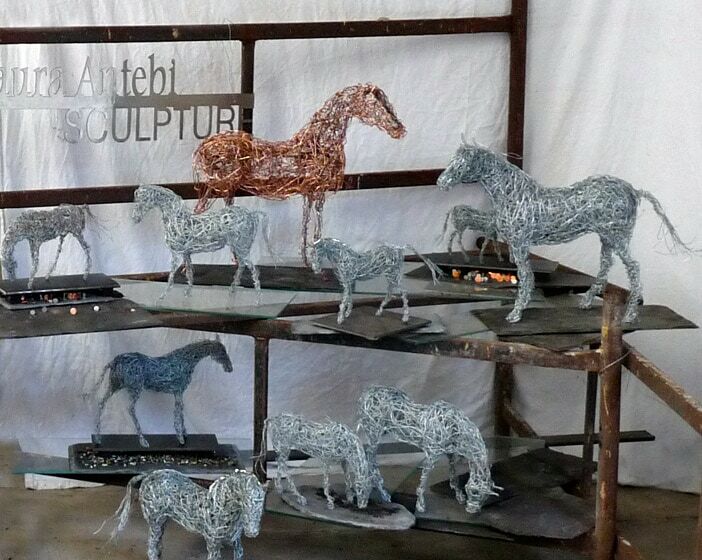 Wire miniatures in galvanised steel, bronze and copper. Bespoke wire sculpture, commissioned artworks. 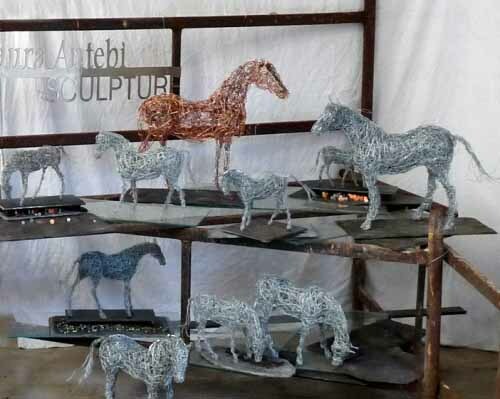 Laura J Antebi creates original equine and wildlife wire sculptures specialising in miniature wire horses using fine gauge steel, copper and bronze wire. 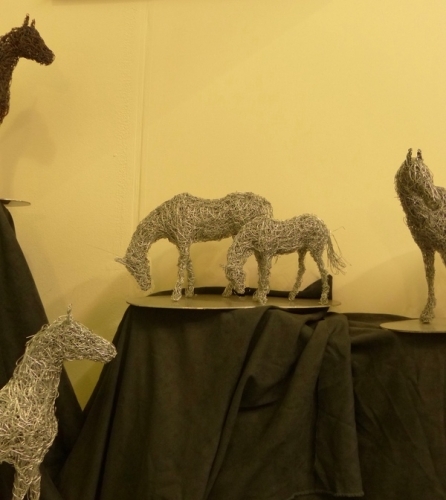 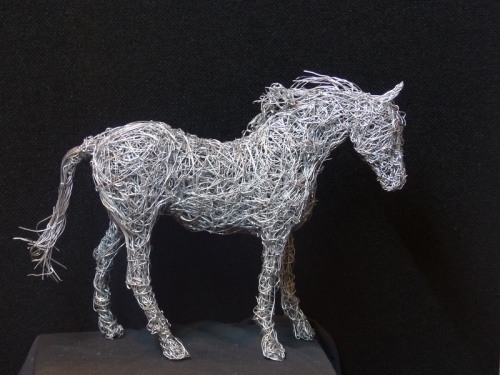 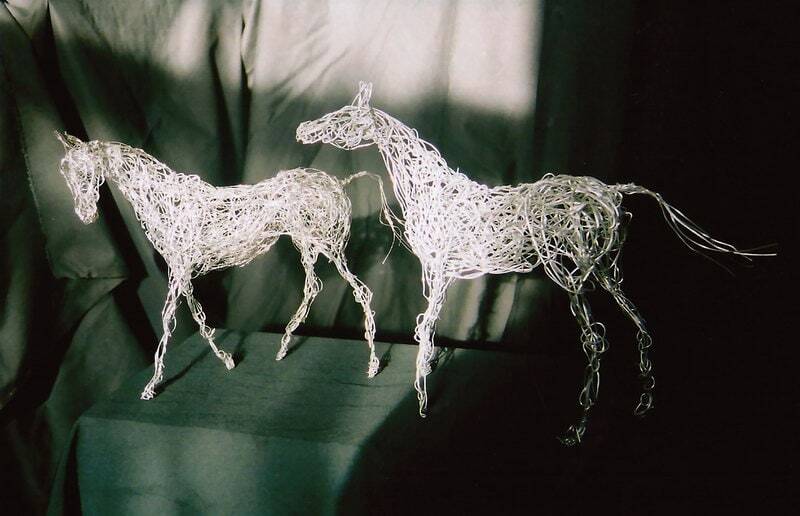 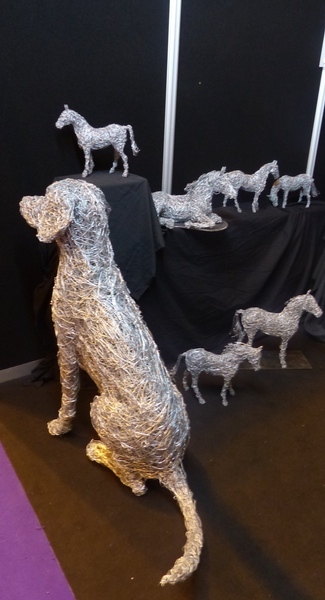 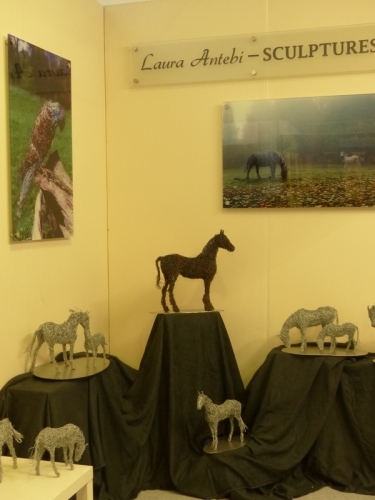 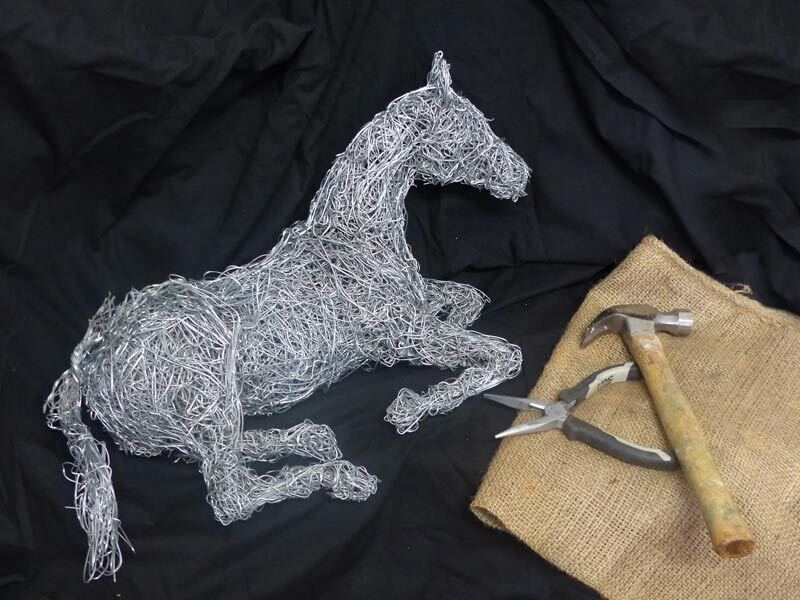 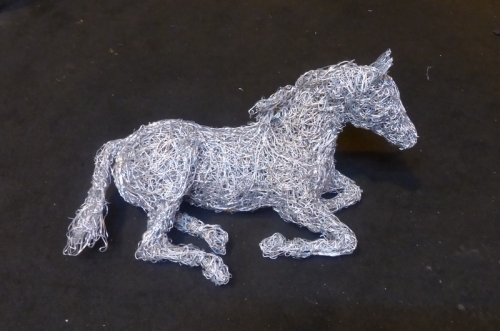 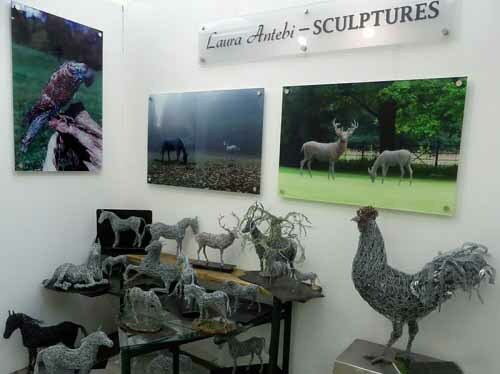 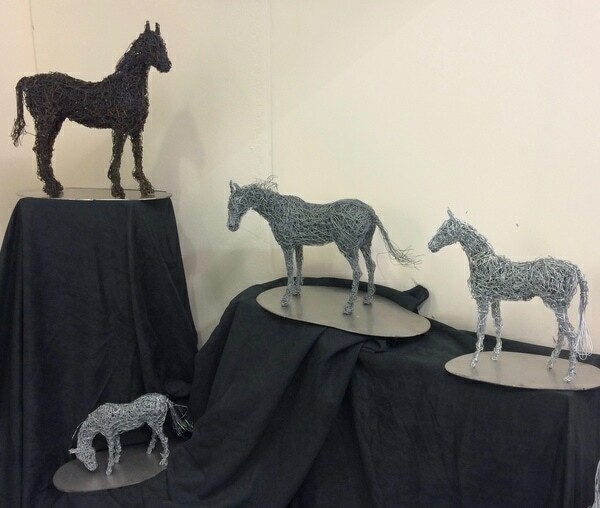 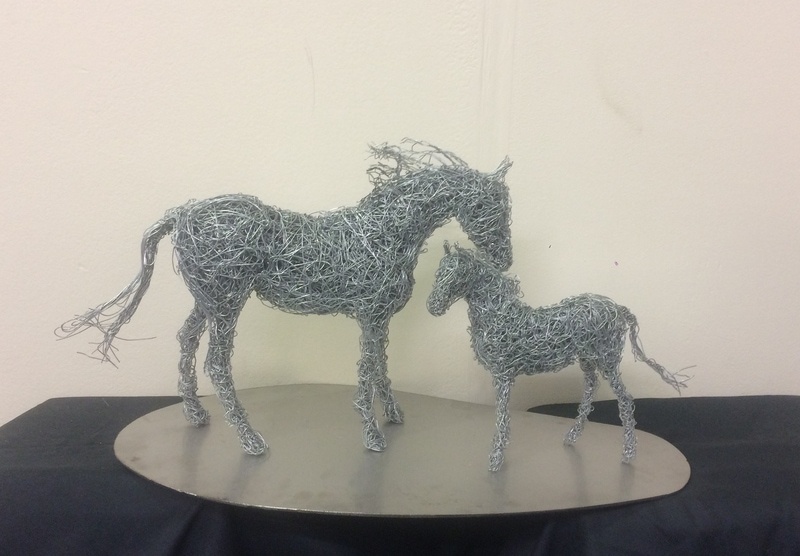 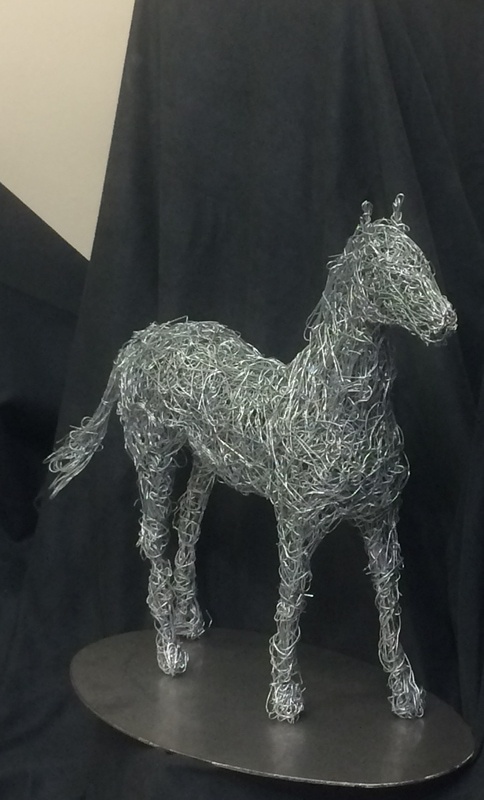 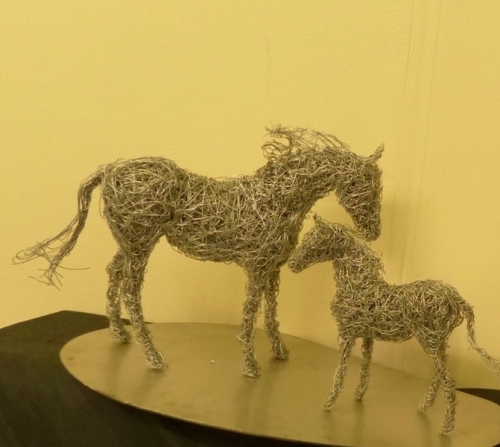 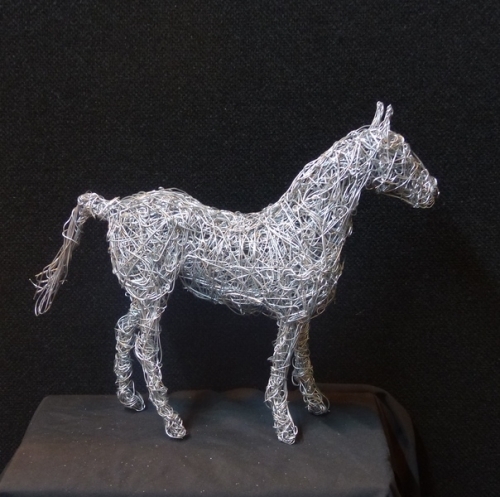 Wire statues of horses and stags, bespoke wire sculptures, commissioned artworks. 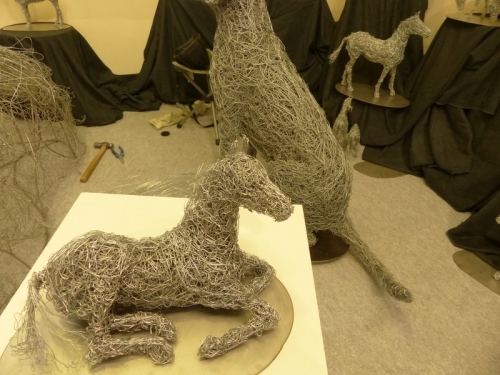 Working on a small scale involves the same process as a large wire sculpture. 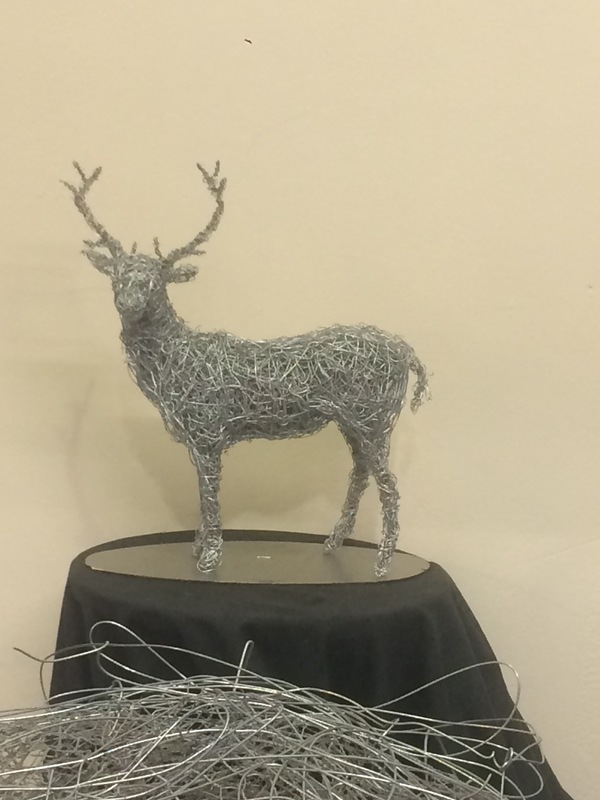 Finding the fluidity and flow with the line of wire while capturing a sense of mood, attitude and character in the ornament. 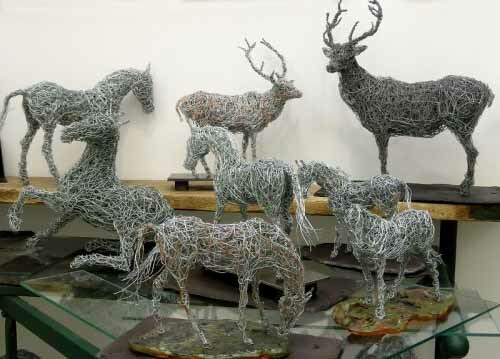 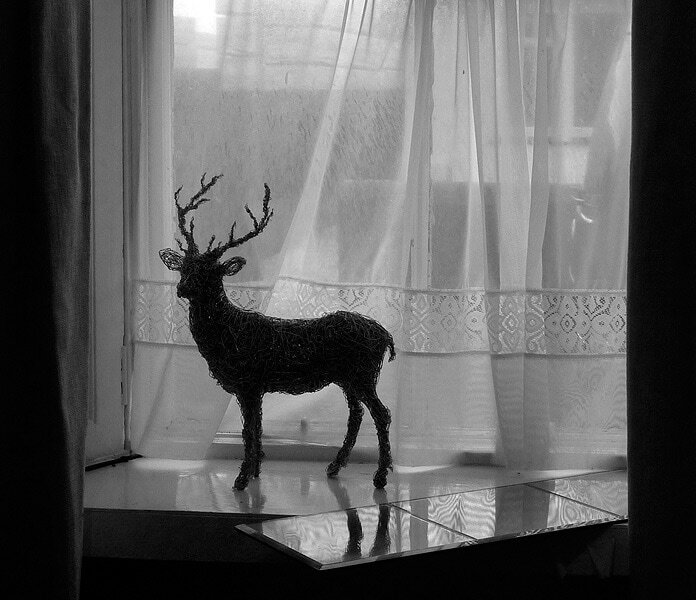 Please click on the images below to see a stag silhouette and a small selection of wire horse sculptures.